Size: * 4 lb. 10 lb. 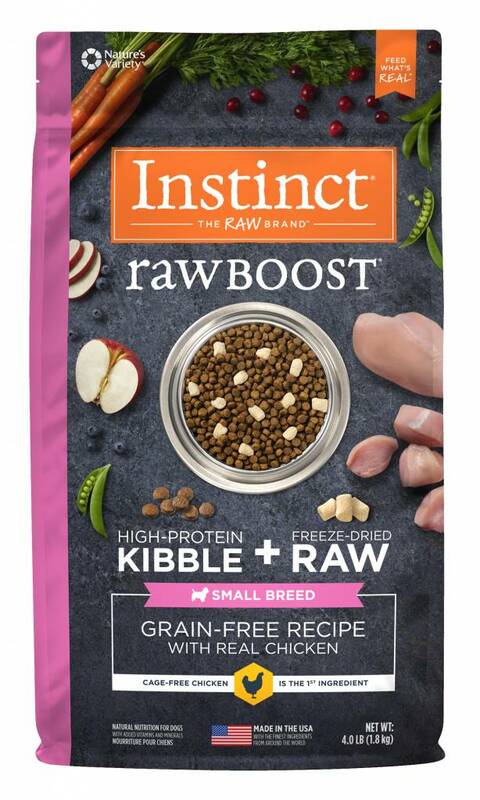 Formulated for dogs less than 30 lbs at maturity, Instinct Raw Boost for Small Breed dogs brings you grain-free kibble plus freeze dried raw pieces together in the same bag - the perfect combination of convenience and nutrition to give dogs vibrant health. It's never been easier to provide the pure and wholesome nutrition of raw.